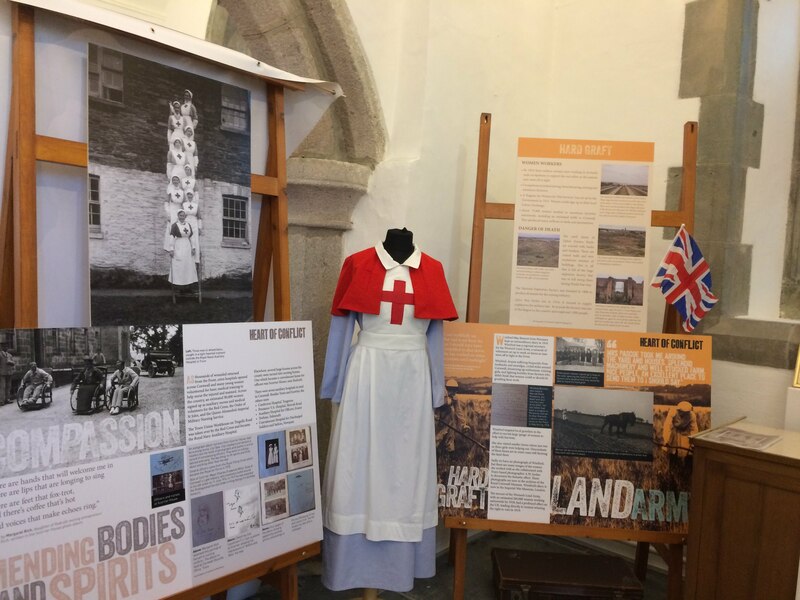 It was great to see our World War One exhibition, Heart of Conflict, on display again at Paul Church, near Mousehole, Cornwall. The display marked the re-dedication of the remarkable World War One window there. There were events and services over the May Bank Holiday weekend to celebrate and showcase all the work that’s been done.